Valet is located on the corner of Crawford and Texas Ave. Thank you for considering Potente for your special event. No matter the need for your event, we will ensure that we create the most memorable experience for you and your guests. Potente is available for events of many sizes and our dedicated events team is on-hand to assist in carefully planning your event. 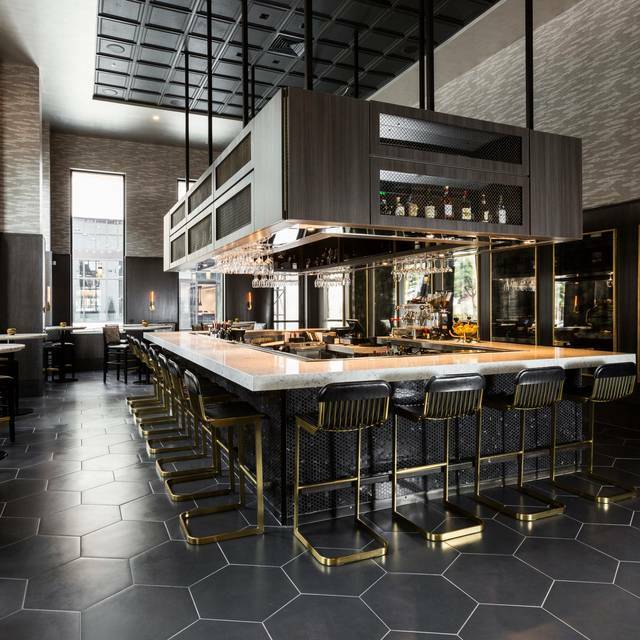 The space features chandeliers, window pieces and high-back tufted furniture designed to create a comfortable, yet sophisticated environment. All of our rooms have a television and the ability to connect audiovisual equipment for presentations or to enjoy a football game. 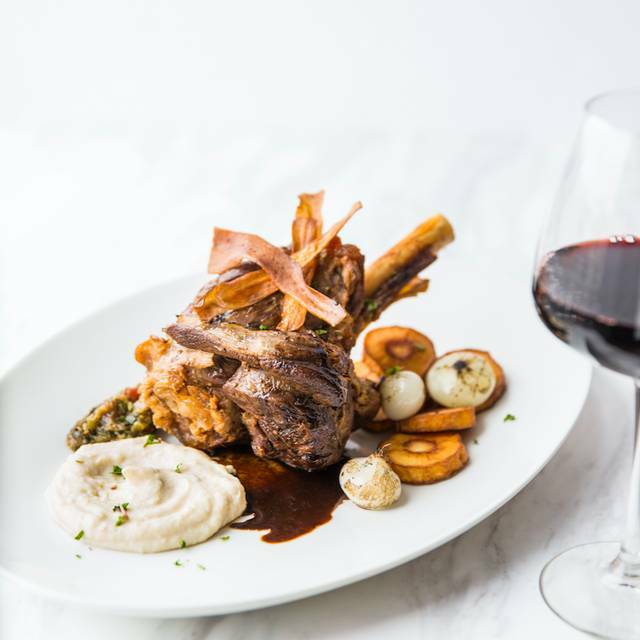 Potente is a sophisticated and upscale Italian restaurant located in downtown Houston led by Executive Chef Danny Trace. Every dish is locally sourced and uses only the highest quality ingredients. 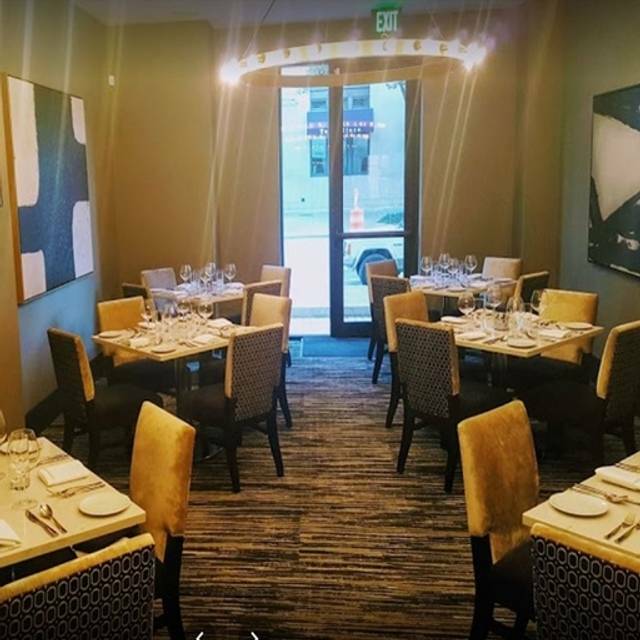 Try our chef favorite homemade pasta with black truffles shaved table side, petite filet with pistachio gremolata and homemade desserts sure to delight! Our suggested attire is business casual. A jacket for gentleman is preferred, but not required. Shorts and hats are not permitted. My wife and I celebrated our anniversary here. I highly recommend it for a special occasion or general fine dining. Service and food was outstanding. Very attentive staff; professionally trained and choreographed. Food was excellent. Great food, great service, great experience. I would easily recommend this to a friend. 1st time at this restaurant. Dinner was fabulous. I wish you were doing Easter brunch I would so be back. We had a wonderful experience and the food was amazing! 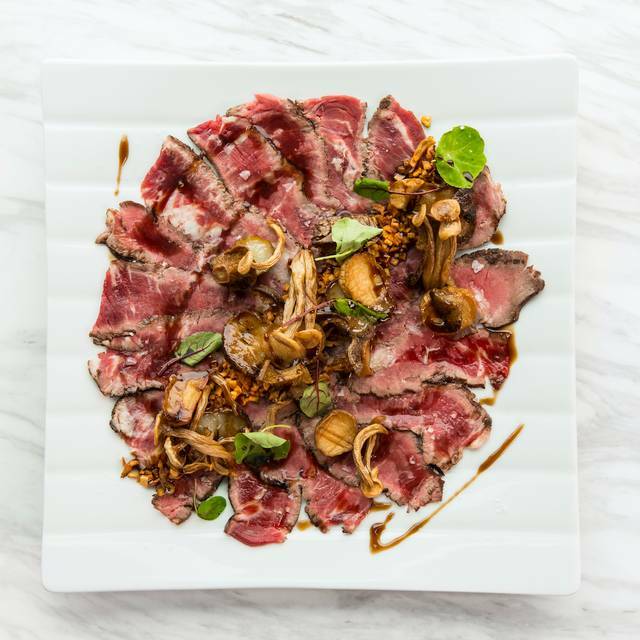 Consistent and easily top five restaurants in Houston. Outstanding food & service. 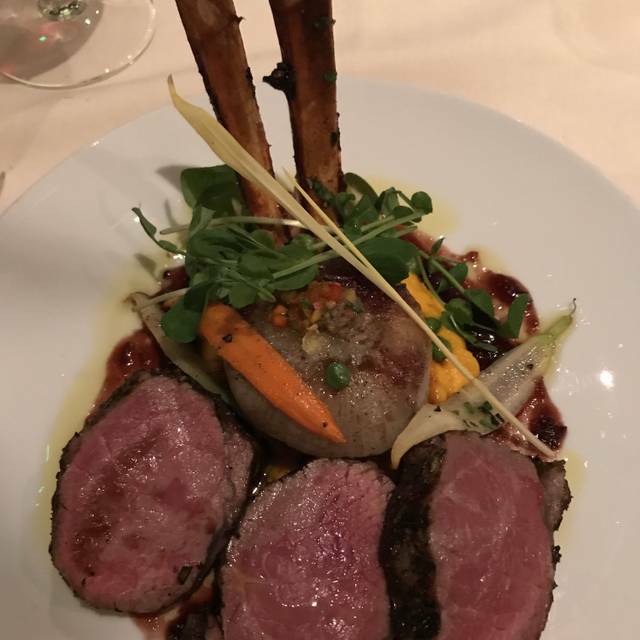 We have dined here many times and are never disappointed. The truffle spaghetti is a dish we have every visit and still amazes me how simple yet flavorful it is. The service and food are both fantastic and I look forward to dining at Potente again soon. We ended up at Potente as second choice. Wow, what a great experience. The decor is on the modern side yet elegant. The lighting, in my opinion, need something more, it seemed to be too functional. The food was outstanding and creative. From the Chef’s send out of a tomato bisque, the delicious crab appetizer, the scallops and the filet to the excellent wine list. And the service was impeccable. True hospitality from the entire staff, on every level . We are already planning our next night out at this lovely gem. I suggest you go as soon as possible! Everything was perfect from our very attentive waiter to the most delicious food!! The home made Romano cheese pasta with truffles carved tableside was the most delicious taste that I think has entered my mouth!! We loved every moment of our experience and will definitely go back!! We chose potent because of it’s close proximity to our event and it said vegetarian friendly. It was not. Flavors of pasta and fish were not of the quality I expect from a 4 star. I was very disappointed but the company I was with made up for the not so great food. Service and atmosphere was impeccable. The service was impeccable! Our waiter was fantastic and made great recommendations. The food was amazing!! Food was great. We sat in the bar area at a 4 top. The service given by our waitress and the Sommelier was fair at best. We chose a few bottles $100+ and didn’t get the service or attention to detail I fee people eating there deserve. I brought my mother in law from Seattle and a BF from Kingwood and we all were let down. 1t time there. Highly recommend and will definitely be back. Food and wine was delicious! Had an amazing business dinner in the wine room with 8 people. Truffle pasta was amazing, chocolate tiramisu dessert is a crowd pleaser, also highly recommend crab cake appetizer and short rib . Best service and food make sure you ask for Vinny! Food was really good - service overall was good but ambiance wasn’t quite what we expected. All I can say is wow. Went here Friday evening prior to the theater. I believe the place is 5 star. Food was delicious. Service was outstanding. I would like say thank you to Valentin for the great service. Also special thanks to my fellow New Yorker, Nate. We’ll be real soon. Very elegant. The service was a cut above and the food was fresh and unique (not the standard Italian-America) and delicious. The house made black truffle pasta was fabulous. Our waiter, Gaston, was knowledgeable, personable and helped create a special evening for us. We’re looking forward to introducing some friends to this beautiful restaurant. 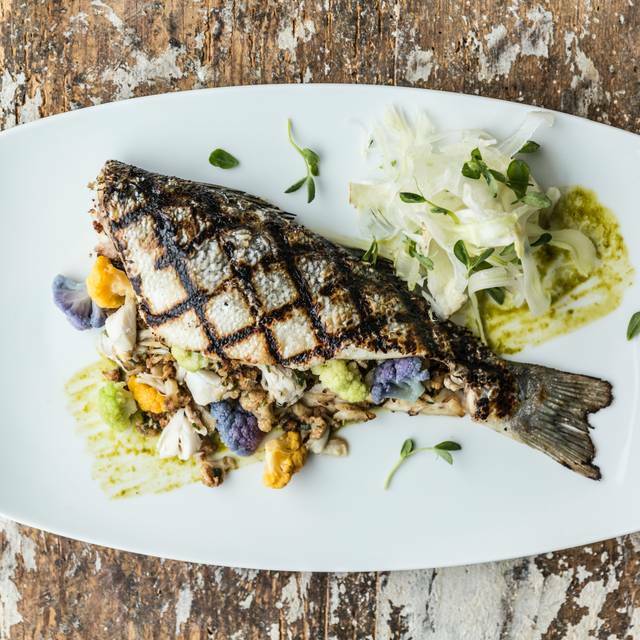 This is truly one of the finest dining experiences in Houston. And that’s saying a lot given the food scene here. The food is sublime. The service is absolutely over-the-top. And the overall experience is second to none. Definitely a pricey experience but well worth the money especially for special occasions. Personable waitress who made excellent food recommendations that we trusted. Service was perfect, not intrusive but enough, food was outstanding with each course following perfectly. Delicious hummus to start. Very large cut of strip steak exactly as ordered. Wonderful branzino cooked to perfection. Raquel was exceptional as server and knew well all the menu. Food was excellent. Service getting the wine out with the truffle Pasta dish a little slow. Otherwise service was excellent. Truffle Pasta dis as an appetizer was excellent as was the Bronzino. Wow. This place is very different. The dining area feels a bit small. I went here for my 7 year anniversary. Had i known how exposed the seating could be, i would have requested something more secluded. Our waiter did a nice job of attending us. I ordered the spaghetti which was delicious but the portion was somewhat small for the price. It was a bit pricey but all in all I had a great experience. High marks all around! We really enjoyed the food and service was amazing. They did a great job adding some birthday flair. Meal was very good. Wine selection also was very good. Unfortunately, red wine was served far too cold. Also, Open Table claimed that no reservations were available at 6 pm, which was not the case. This was our third visit to Potente and the meal was as lovely as our earlier visits. The mixed meat carpaccio was delicious--as was the bread course with the best humus I've ever tasted. The three of us had different mains--a squid ink linguine with lobster, steak and the duck dish--all were both beautifully presented and delicious. We split a dessert--the tour de force version of tiramusu, which is surrounded by a dark chocolate "bombe shell" which opens like a flower when the accompanying sauce is poured. Wow, it is spectacular! 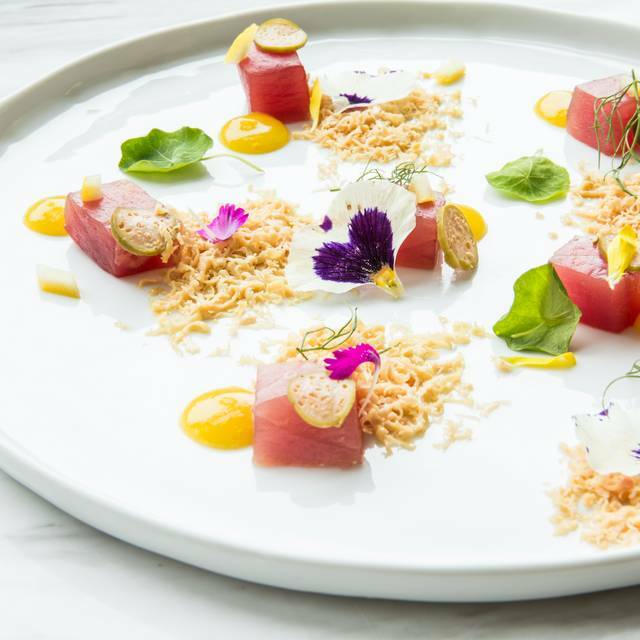 Service at Potente is extremely polished and the space is sophisticated and modern. 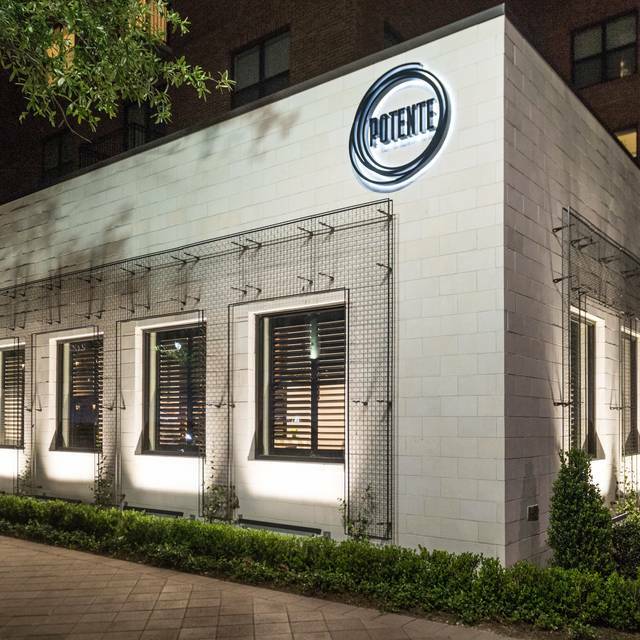 Potente remains one of the best spots for modern and elegant Italian food in Houston. One of Houston's best. The duck breast was excellent. They helped us pick wine and then picked our meal for us. They let us split our meal so we could have the most delicious dinner and go home without a food coma. They were wonderful. This has rapidly become our favorite dining destination. 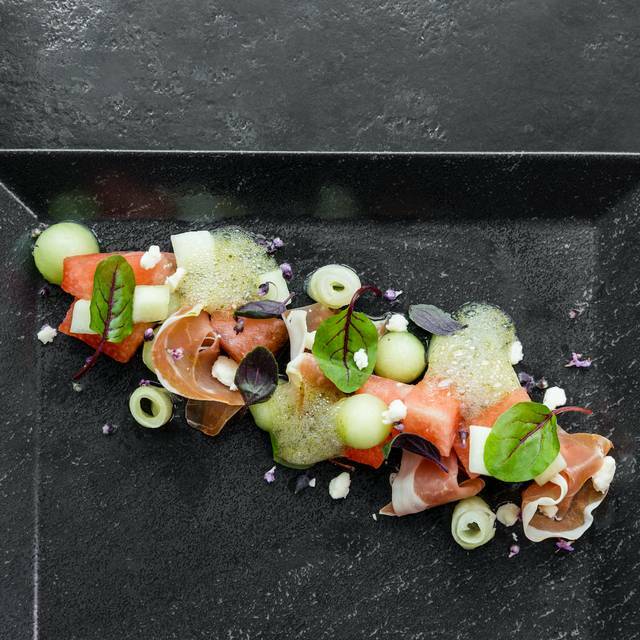 The food, service, and wine list are exceptional. This was a business dinner, service food was excellent. I have already recommended Potente to someone I know going to Houston in a few months.